We're happy to help with your contact lens orders. Please, call our office for the latest pricing information. At Metzger Eye Care, we strive to provide initial and replacement contact lenses in a efficient manner. 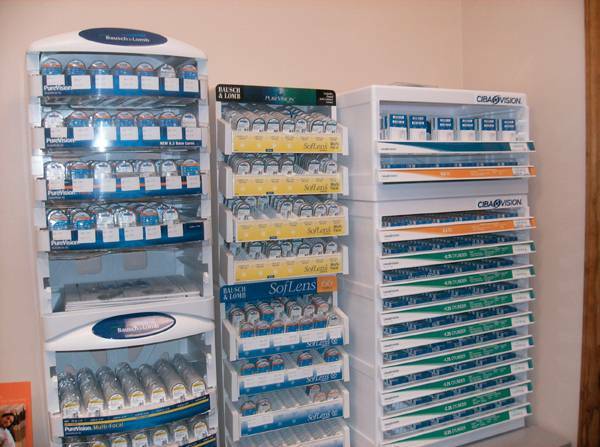 Many of our lenses are delivered overnight to our office for your convenient pick up. Did you know that we can ship your contacts to your home or office? Ask one of our dedicated staff members for more information on this service. Learn more about our Contact Lens services! Here you will find the rebates that our currently offered as well as links to print out the rebates if you have already purchased contact lenses and are still eligible for the rebate. NOTE: YOU WILL NEED A COPY OF YOUR RECEIPT FROM YOUR EYE EXAM. Our doctors fit a wide variety of Toric lenses made for people with an astigmatism.